Help us translate this page. All Artwork in the Graphics Files that are available for download from this page were created by Jonathan Usiak. All of the images are © 2008 by Jonathan Usiak. Although permission is granted to individual users to download and print multiple copies of the images for use in gameplay, the images and the files which contain them are NOT in the public domain. All rights are reserved. 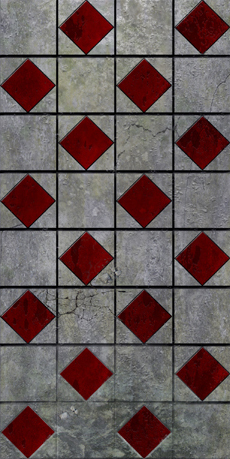 Tiles designed with an intended purpose containing highly detailed furnishings and structures. This tile was designed for use in the Running the Gauntlet Quest published in Dave Morris' HeroQuest novel, HeroQuest: The Screaming Spectre. 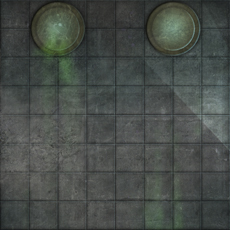 Map icons included. 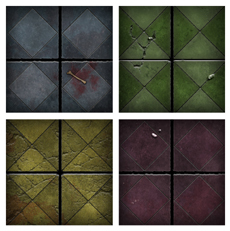 Tiles with a simple floor design that do a fantastic job of spicing up a Quest. Great for breaking up the usual monotany with new variations and board layouts. 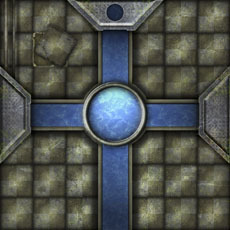 A 10x10 square Circular Room. 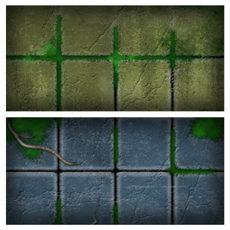 One of Jon's first tile attempts many years ago. Expand your HeroQuest game and add something unexpected for your Heroes to discover during their adventures. 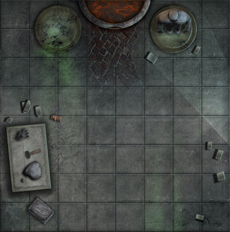 Map icon and rules included. HeroQuest is © 1989-2014 door Milton Bradley Company.